Note: This item is sold out. A Blade Records / Afe co-production. An incredible melting pot of styles, defies all know categories and wins! 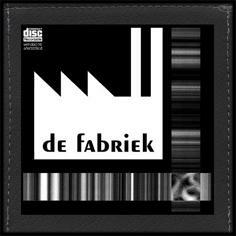 Being active for nearly twenty-five years, De Fabriek keep amazing us with the neverending changes in their sound. The disc starts off with a joint droning effort between Alfa Tau Bau and factory foreman Richard Van Dellen but from 'Hinter den Weissen Berge' on, moody loops of acoustic instruments take over and some of these Oriental soundscapes are reminiscent of the early works of Muslimgauze. "Wie der Sturm das Ufer Angrif" fills half of the disc, an execellent 'old style' cut and paste work of Deutsche Rundfunk, manipulated applause, voices, cut-up vocals and irresistible spacy electronics.